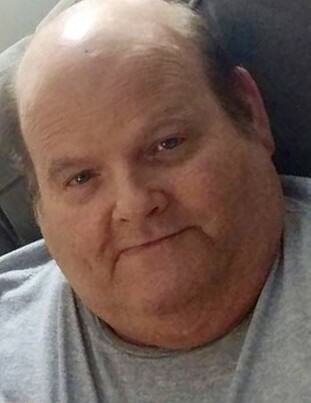 Obituary for Paul J. Dougherty | Doherty Funeral Homes, Inc.
Paul J. Dougherty, age 69, passed away peacefully at home on February 10, 2019 after a long battle with kidney disease. Born February 1, 1950 in Wilmington, DE, he was the son of the late George J. Dougherty Sr. and Gertrude Dougherty-Denney. Paul graduated from the H. Fletcher Brown Technical High School and went on to graduate from the night school apprentice program. Paul worked for Local 74 before partnering with his brother, Joe and operating Dougherty Bros. Plumbing, Heating and Air Conditioning for 26 years. Paul always enjoyed helping everyone; especially his family whether it be plumbing, heating, air conditioning, with the pool or anything else anyone needed. He truly was a jack of all trades. His favorite memories included going to Brandywine Raceway and watching the horse (Father’s Fantasy) he shared with his brother, Joe and niece Colleen win some races. He also enjoyed being the cook at family cookouts. In later years, he enjoyed doing crossword puzzles and using his IPad. He was preceded in death by his brothers, Ronald (2/4/19), Edward (8/7/18) and Les and his sister, Marian Dougherty. Paul is survived by his brother, George Jr. (Joe) (Peggy), Elaine Cirillo, Linda Schofield and Karen (Kay) Richardson and many nieces, nephews and friends. The family would like to thank Paul’s aide, Geraldine (Gerri) Stokes for her dedicated, loving service to Paul for the past year. She treated Paul like a member of her own family. She truly was one in a million. Also, his nephew Marty for all his help on the weekends and keeping Paul company; in addition, Fresenius Kidney Care North Wilmington for their excellent care for the past 7 years and Compassionate Care Hospice for keeping Paul comfortable. Family and friends are invited to attend a viewing on Tuesday, February 19, 2019 from 10AM-11AM at St. Helena’s Catholic Church, 602 Philadelphia Pike, Wilmington, DE 19809 followed by a Mass of Christian Burial at 11AM. Burial will follow at All Saints Cemetery, 6001 Kirkwood Hwy, Wilmington, DE 19808. In lieu of flowers, donations can be made to Compassionate Care Hospice, 405 East Marsh Lane, Suite 4 Newport, DE 19804.